We are currently staging the gorgeous property at 1621 North Crescent Heights Blvd in the Hollywood Hills! 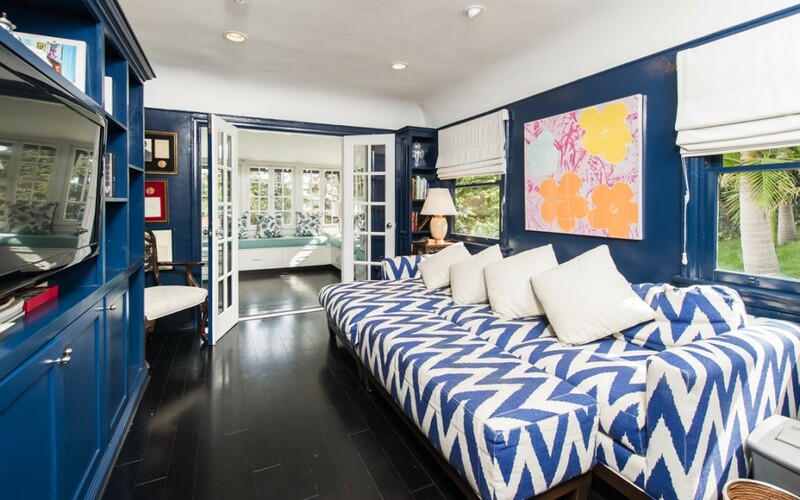 This property is beautiful as-is, featuring some unique touches, like the blue paint that matches the blue and white chevron-patterned seating in the family room (below). However, chic and stylish as unique touches may be, they could make it difficult for potential buyers to imagine themselves and their belongings in the space. This is one reason we are repainting the room. 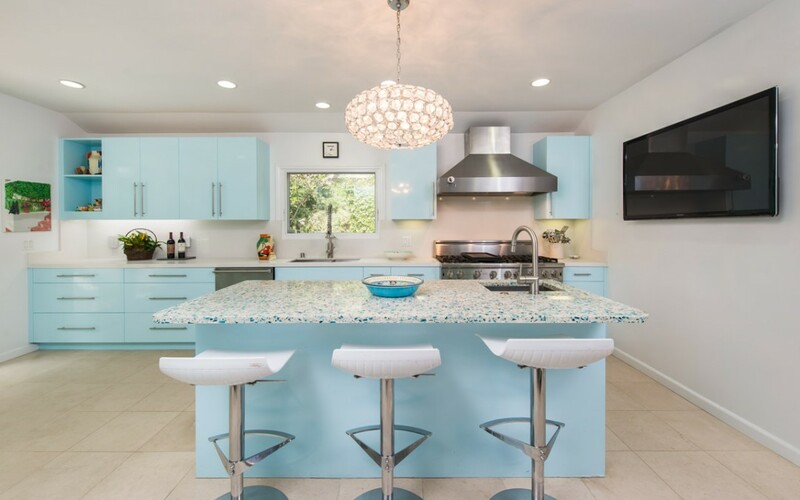 Staging is a crucial part of the home-selling process: you want to present your home in the best light, and in a style that has plenty of appeal for your target buyers. Below are “Before” and “After” pictures for one of the rooms at 1621 North Crescent Heights. We are holding the big opening next weekend! Contact me via phone or email for details, or visit the Featured Listings page for more info on the property. Before staging (click to expand). After staging (click to expand).